The eagles have returned to the area though as cold as it's been I am guessing they are wishing they went further south. This eagle has a nest along the Republican River to the south of where it was sitting and looking for food and trying to ignore me. This was taken with a 2X converter for a 600mm equivalent image and I only got off about 3 shots from this vantage point before it had enough of me and flew off. 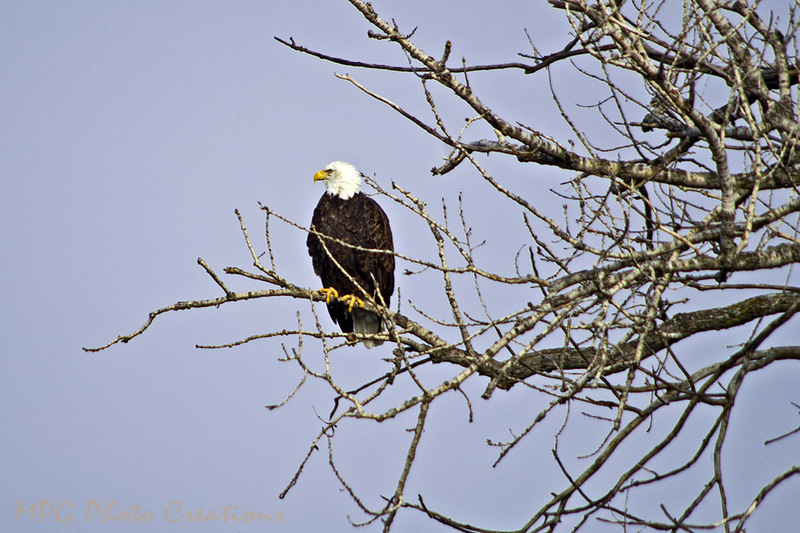 I have several from a bit further away, this was the best shot I got I thought and my best Bald Eagle shot to date.